in tears we can’t extinguish. as our banner of care is unfurled. so such tragedy is never repeated. Today we’re thankful for the district leaders of Rotary. We’re thankful they’re willing to give their time and their talent, willing to risk, and willing to inspire each of us to become the best we can be. We’re thankful for their sacrifices and their ingenuity. We’re thankful for their experience and wisdom. We’re thankful that Rotary brings together opportunities to improve our community and our world. We’re thankful that we’re together today to share a meal, ready to learn and be inspired for another year service. We are gathered here to try what makes us nervous. we believe in Rotary’s worth. 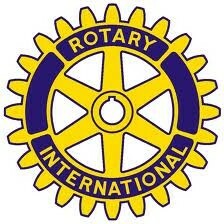 Rotary’s newest club, this 17th of September. May we rise like a dawn chair lift. May we serve with the fortitude of a lift operator at -20 degrees. May we show the flexibility of a slalom racer. May we be as welcoming as a hot tub after a long day. for in Rotary, both, like all professions, are worthy. and may our club enjoy a perfect run! (c) Shawn Bird 2017 Free use within Rotary, but please credit Shawn and record your use of this Invocation below. Let us be the calm. let us bring the light of dawn. Let us be there for relief. Let us raise a voice for peace.